Hello my crafty friends! 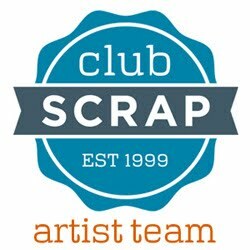 I'm so glad you joined me for the Club Scrap Artist Team Challenge today. 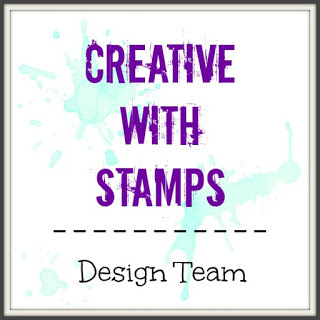 If you're following along on the blog hop you should have just come from Roni's blog. 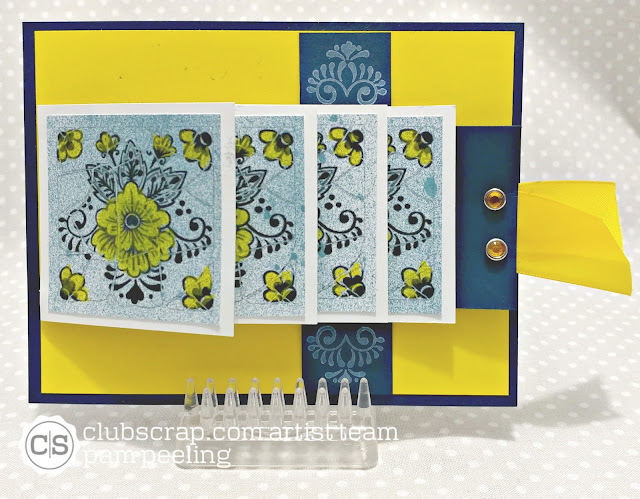 This month Club Scrap asked us to use the Digital kit as our challenge. Now I consider myself pretty computer savvy but I just don't understand how you get the digital kit to work! Apparently it comes down to having the right software to use. Which I don't...BUT you can print out any or all of the images and play with them that way! I use PicMonkey-an online free photo editing program to edit my photos for blogging so I use that. I figured out how to resize the images and have been playing with that. Check out what I made! 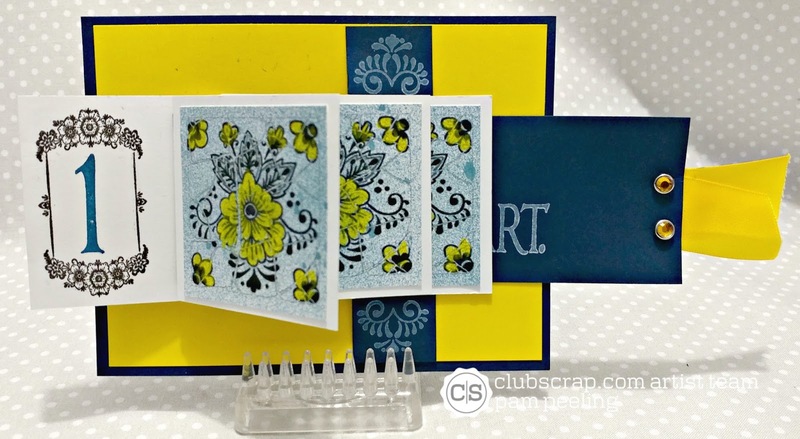 I love waterfall cards! So fun and versatile! Here's a great tutorial on how to make them. 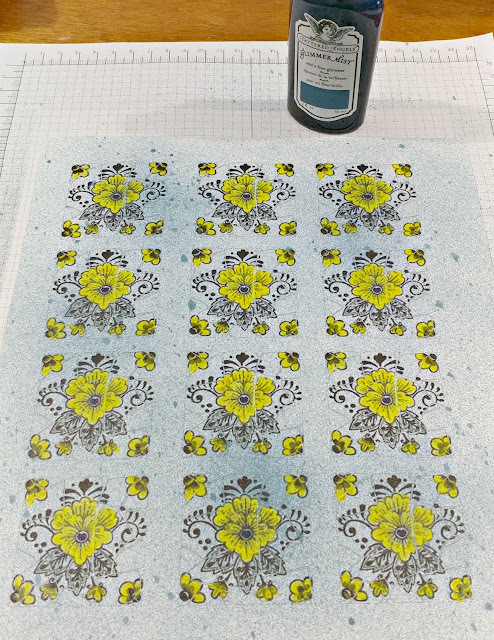 The stamped images on the back of the tiles is unmounted rubber stamped images from the Delft kit. I used white pigment ink of the sentiment and images on the stabilizer piece-both unmounted rubber stamp images from the Delft kit. The tiles are images from the digital kit. I cropped the individual image I wanted and resized it to the size I needed. Then I inserted that image into a google doc text document and copied and pasted a bunch of them. Then I hand colored the sections I wanted with a prismacolor pencil. I spritzed the whole thing with some blue Glimmer Mist. 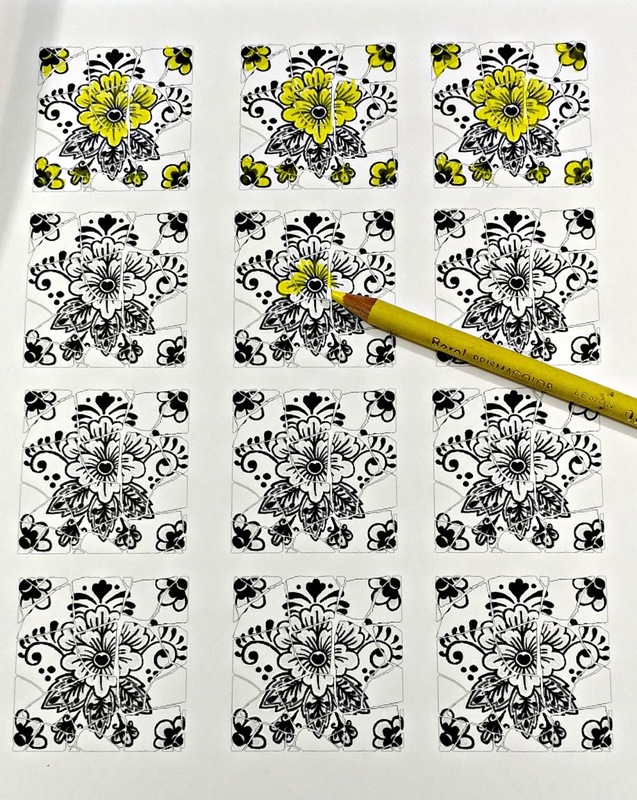 The images I picked were already black and white but you could print any of the images in black and white and color them in. 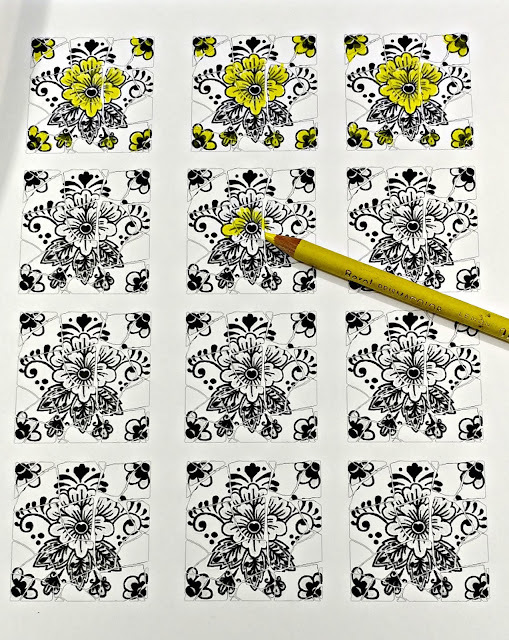 Then I cut the individual tile images to use on my cards. 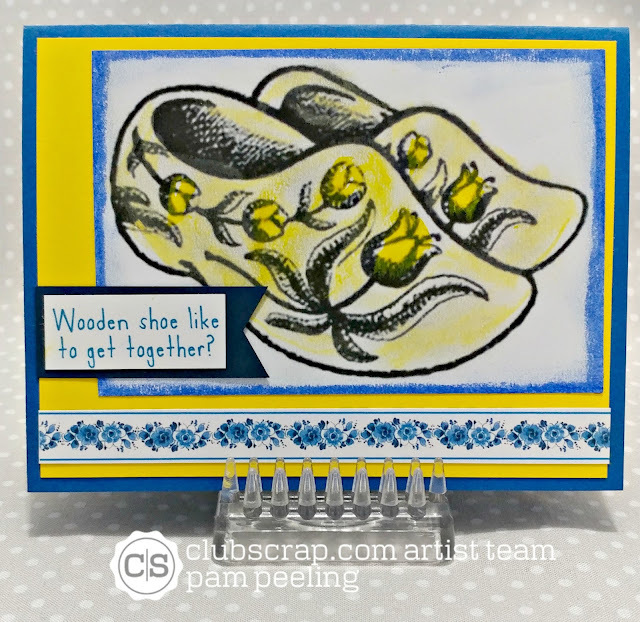 For this card I resized the wooden shoe image and made it quite a bit bigger than the original. Then I used Gelatos and Distress Crayons to color it in. The sentiment is also a digital image. I had printed that one as is-without any cropping or resizing-I just printed the whole page of images. This was part of a larger image and I cut off just the sentiment part. The same with the flower strip. So even if you are not computer savvy or don't have photo editing software you can still use the digital kit in a lot of creative ways! Your next stop along the hop is Hetty! Be sure to follow along to see what she did with the digital kit! Fantastic Pam, and you actually don't need special software to manipulate the digital kits each month. Many online resources are available like Pixlr.com :) So much fun to see what you learned and the gorgeous art you created!! Well done. While Pixlr doesn't have much in the way of a user guide - or at least I haven't discovered it! - I love it for a free way to do things with layers. I use it all the time at home now. Those flower tiles you created were terrific. I don't own a color printer, so I'm always looking for ways to bring in color. Socking away the spritzing idea for the future! 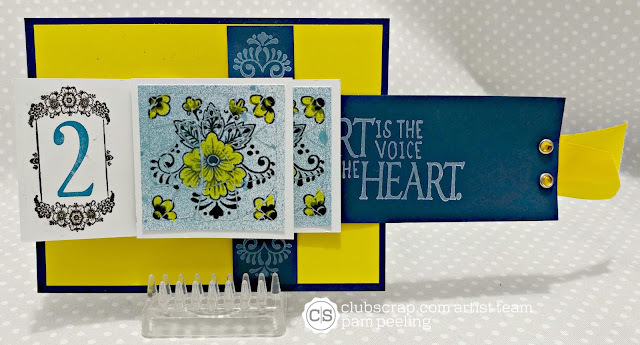 Love all your projects, Pam and that waterfall card is a super idea! So glad you found a way to utilize your digi stash! Fantastic idea of spritzing! Love all three cards, especially the waterfall version! 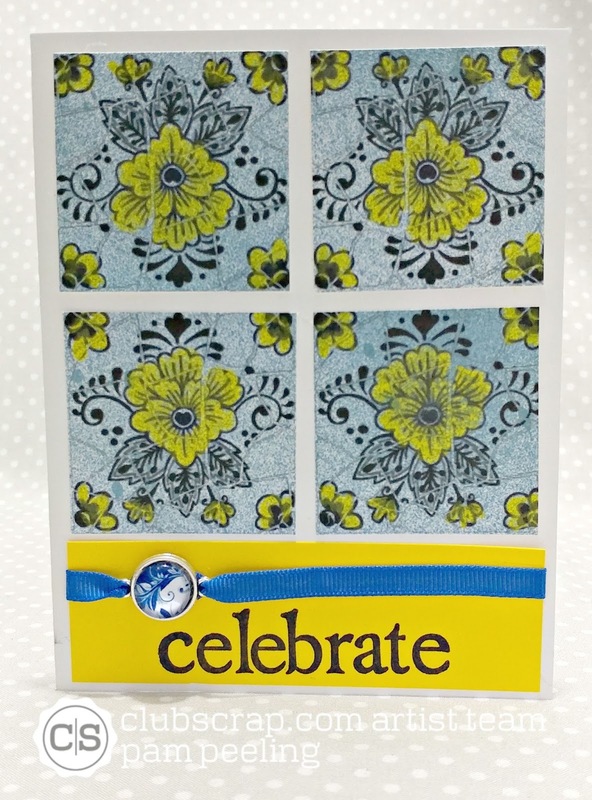 I absolutely LOVE your waterfall card! Great post! So cool...the waterfall card! All are so lovely!